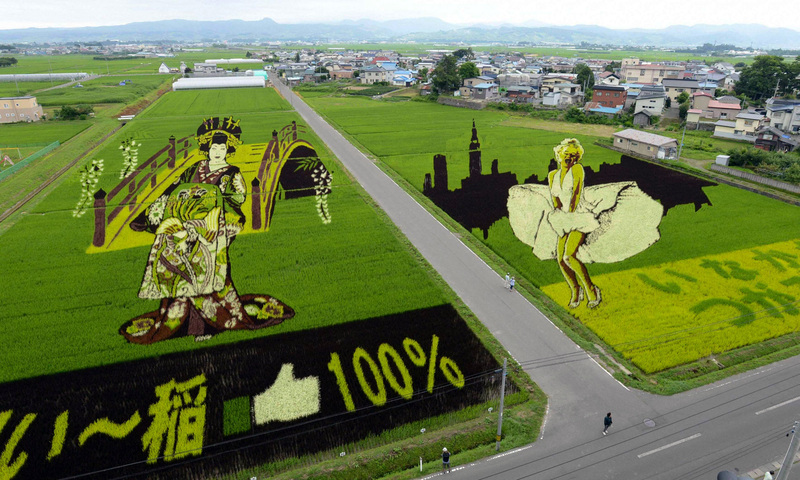 Today we would like to tell you about the art of Tambo, strategically planted coloured rice shoots grown to produce field-sized paintings, is only gaining popularity in the country of the Rising Sun, but has already amazed thousands of fans. Every year, crowds of tourists travel to the small Japanese village of Inakadate, which is located six hundred kilometres away from Tokyo. 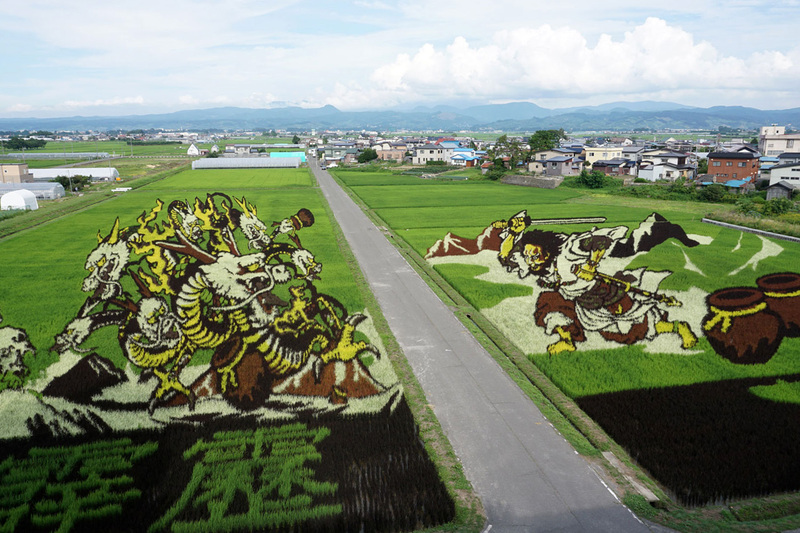 They go there to admire huge dazzling images of samurai, gods, heroes from Japanese myths or modern anime characters made of coloured rice shoots within an area of one hundred meter long and one hundred and forty meters wide. For the first time farmers followed the creative impulse in the middle of the nineties of the past century. Then only a small group of enthusiasts was engaged into art of Tambo, now families, competing among themselves in the complexity of paintings, create pictures of rice. Recently they started creating pictures familiar for tourists from the West - Napoleon, Mona Lisa, Marilyn Monroe, and Elvis. The idea is simple: rice paddies are planted with shoots of different varieties, since leaves of this grain crop has violet, yellow, white colours. 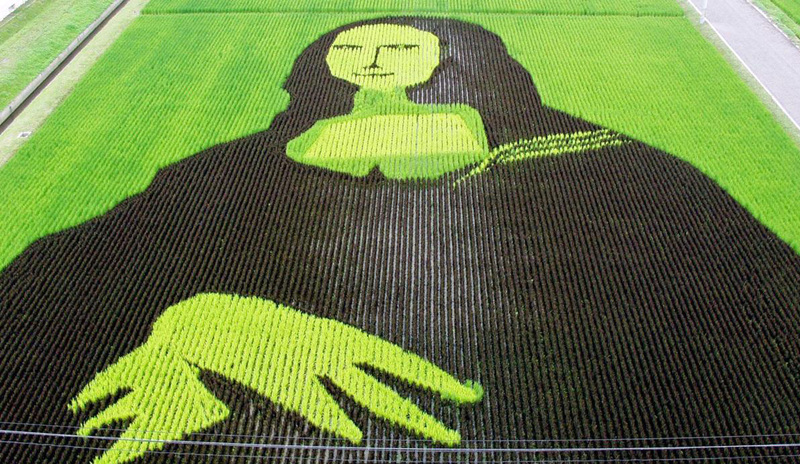 In addition, the increased popularity of Tambo art was also appreciated by breeders, who created in their laboratories rice sprouts of a wide green palette. These creations are especially charming in autumn, when rice paddies acquire golden hue. Resourceful Japanese even involved computer technology in their enthusiasm. Initially, experts create a virtual design, think through its details, calculate the necessary amount of rice, select colours and make up the composition. Then they mark paddies by hand. This is a long process, which takes up to three months. Later, according to the scheme, they plant rice. As it grows, the picture becomes more and more impressive. Near such rice canvases, there are special viewing platforms with a height of more than twenty meters. From this distance, experts assure, the best view opens on these massive works of art. Tambo images do not live long. Soon, they are harvested and taken to the market in the guise of ordinary rice. Today, this ingenious solution made of rice appeared also next to the villages of Nishio and Yonezawa. Thus, Japanese farmers attract tourists replenishing the local treasury. Although they allow contemplating their rice paddy art free of charge, creators gladly accept voluntary donations. Recently, the art of Tambo attracted attention of advertisers. 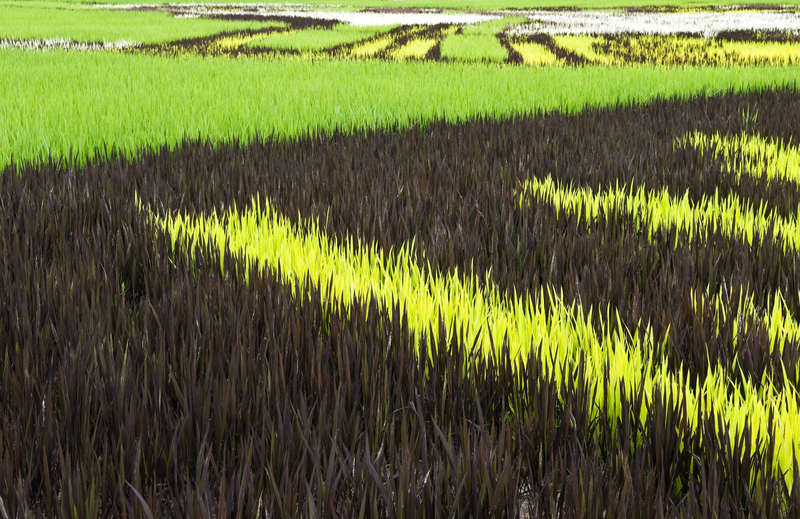 Therefore, the artists grow coloured rice shoots in shape of elaborately designed logo or symbol of Japanese companies.